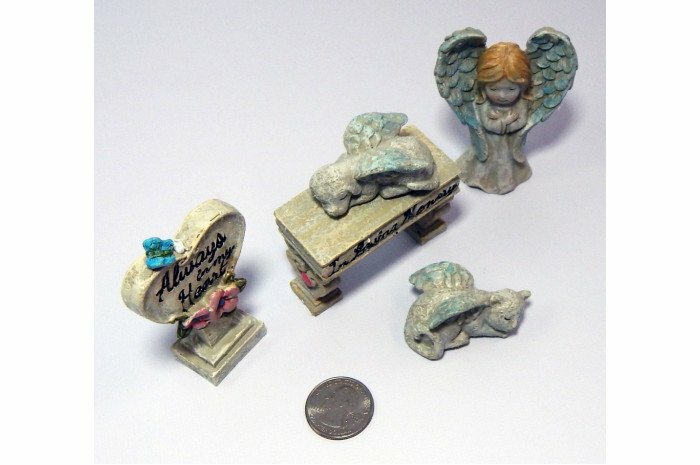 Dog, cat, and girl figurines which appear to be departed, resting and at peace with closed eyes and angel wings. 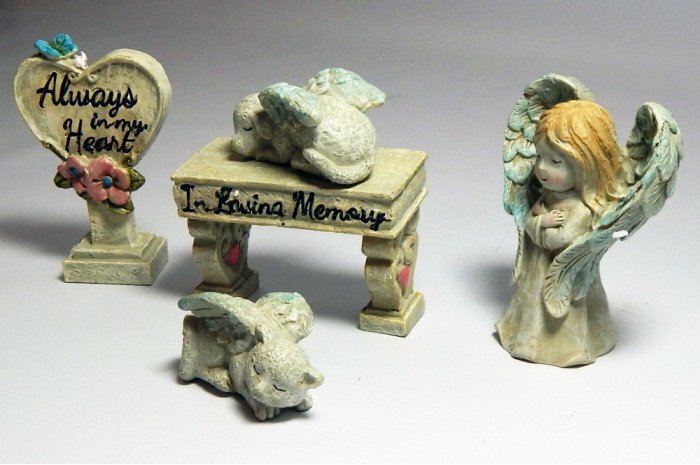 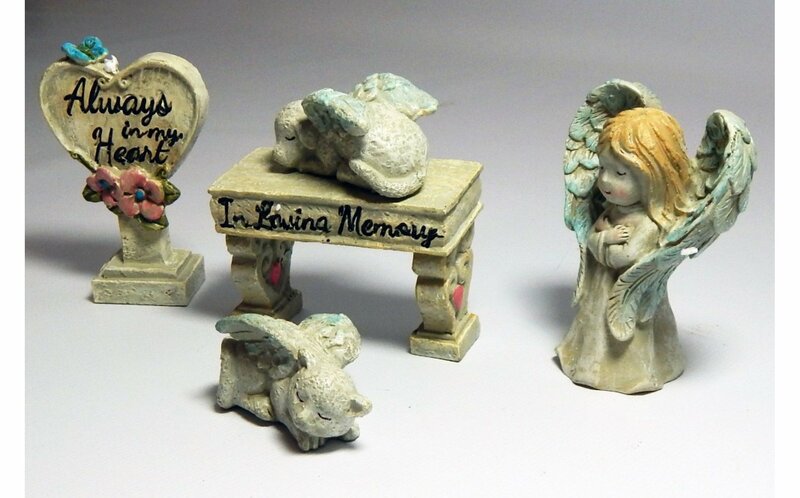 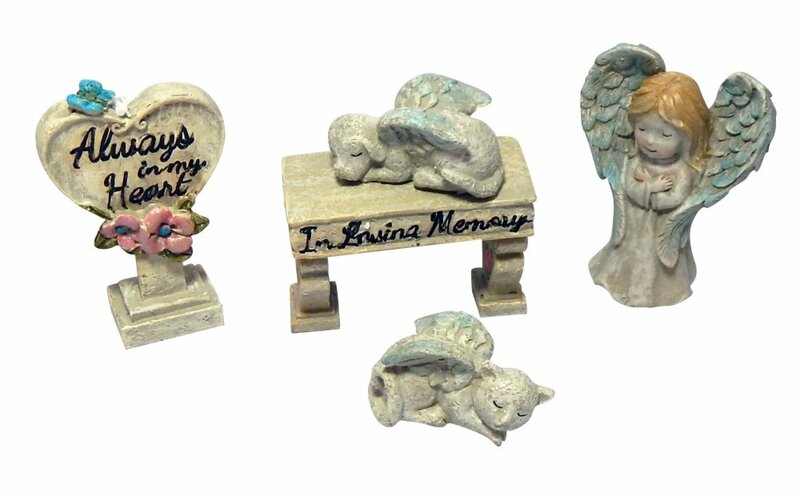 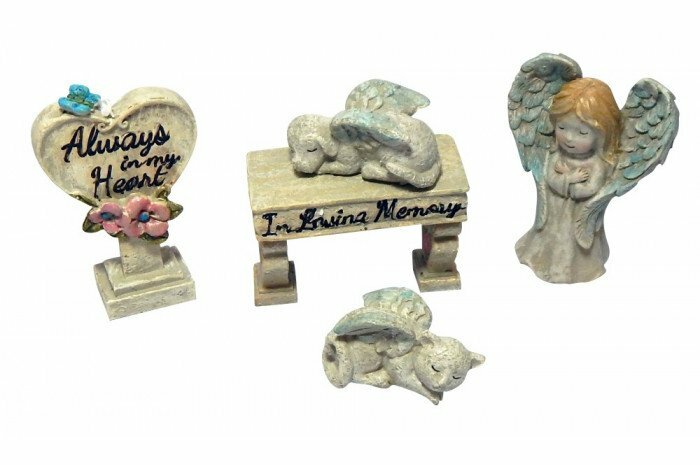 A memorial bench that states "In Loving Memory"
Heart statue with inscription "Always in My Heart"
Resin figures vary in size. 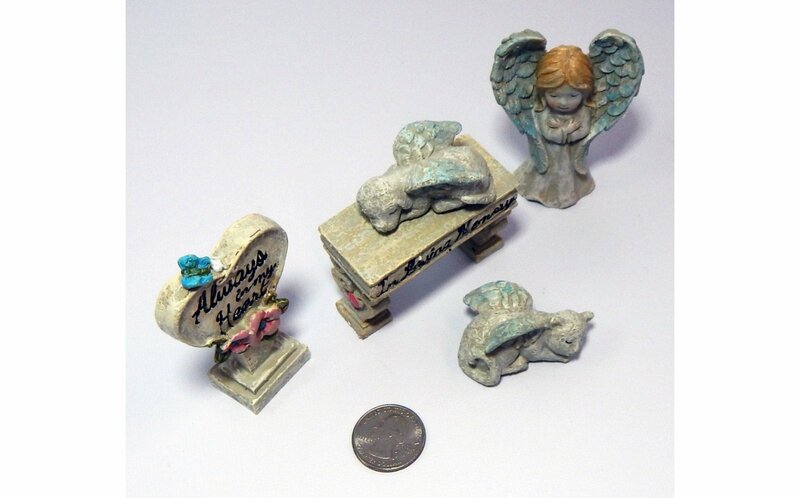 Smallest piece measures 1 1/2" x 1/2" x 1" and largest measures 1" x 1/2" x 3".